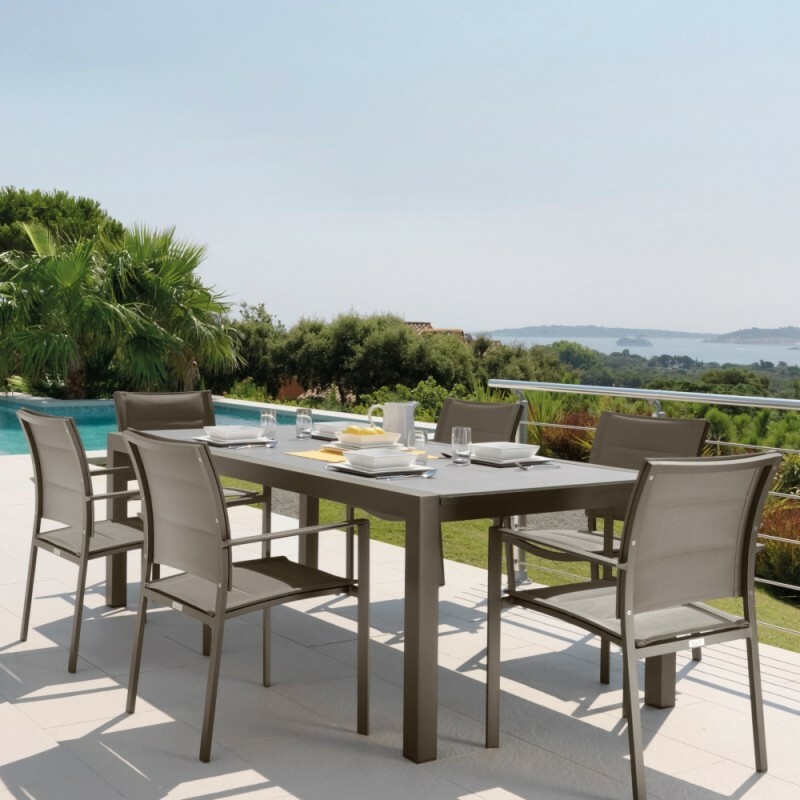 Modern aluminium outdoor dining table. 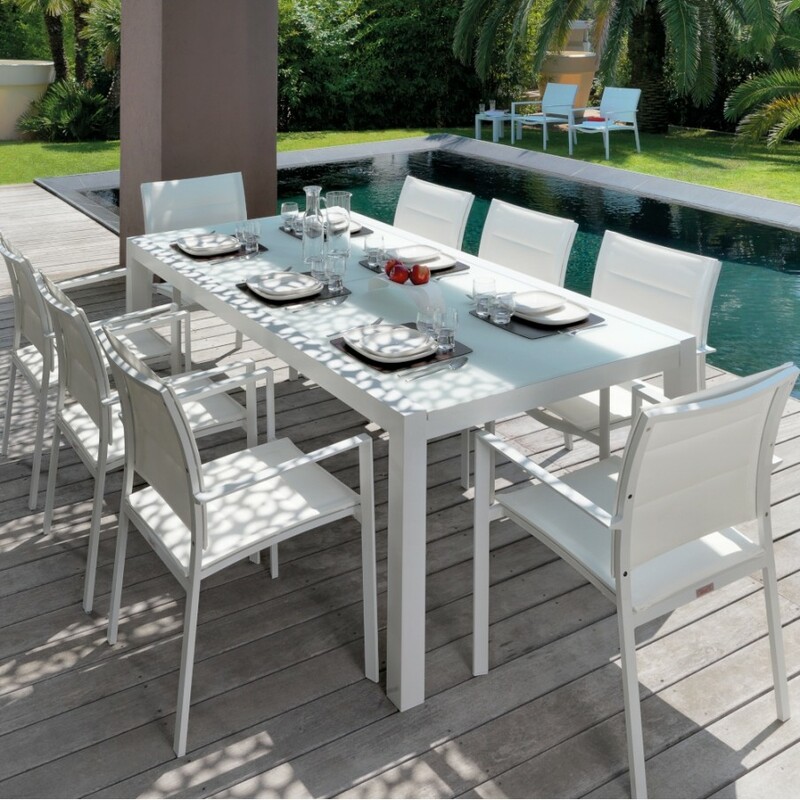 Dine in style Alfresco with the Touch Extending Outdoor Dining Table. 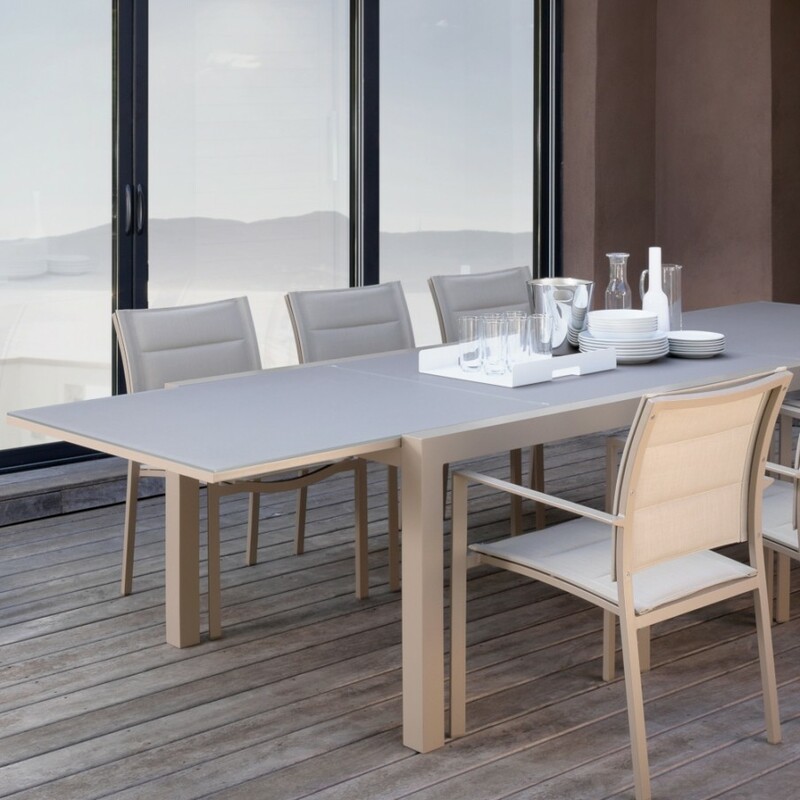 Created using top quality materials, this ultra-modern dining table can be used indoor or outdoor. The table top is made of matt silk-screened tempered glass which is painted in the same colour as the frame. This gorgeous table extends to 225 cm giving give enough space if you have a guest or two turning up for diner.